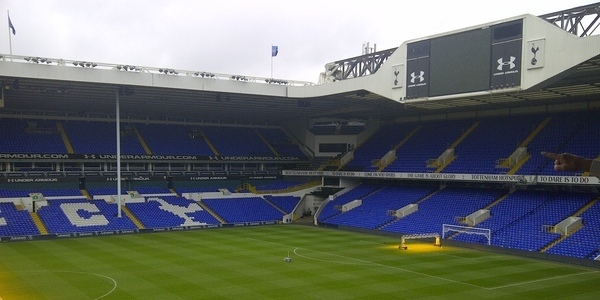 Premier League: Arsenal and Tottenham battling for the Champions League on Saturday against QPR and Southampton! Home » News » Arsenal and Tottenham battling for the Champions League on Saturday against QPR and Southampton! This weekend’s fixtures will see the race continue as Arsenal take on recently relegated QPR in Saturday’s tea time fixture. Whilst Spurs are at home in a 3 o’clock kick off, entertaining Southampton. With the Premier league title already been won by Manchester United the only thing left to play for at the top of the table, is the race for the top 4 and securing a Champions League place for next season. Three teams are still battling it out to secure the final two places with Chelsea in poll position in third on 65 points closely followed by Arsenal on 64 points whilst Tottenham are currently sitting just outside the Champions League positions in 5th with 62 points. Spurs however, like Chelsea, have played a game less than Arsenal and still have 4 fixtures remaining. Tottenham would appear to have a more difficult job of picking up a win this weekend. Despite having the home advantage their opponents Southampton are well known for getting big results against the top teams having already beaten Manchester City, Liverpool and Chelsea in recent months. Tottenham will be looking to get back to winning ways after last week’s 2-2 draw with relegation favourites Wigan saw them lose ground on their arch rivals. Since the result on Saturday their leading goal scorer Gareth Bale has been announced as the PFA player and young player of the season – as well as an additional writer’s player of the year awards. Spurs fans will be counting on their talisman to be on top form this weekend should they come away with all three points. Last week saw QPR get relegated after their goalless draw with Reading, who also dropped out of the league after failing to get the three points. After a lot of speculation about Harry Redknapp was put to bed this week, it will be interesting to see how their hugely criticised high earners respond to relegation and put in a performance. Arsenal, on the other hand, is fully aware the match is a must win at this crucial time in the season should they keep hold of the final Champions league spot. Both games are sold out and to get your hands on some tickets, click here.